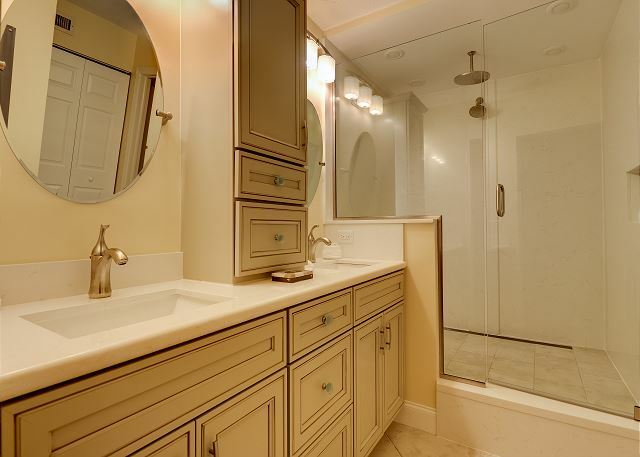 Pointe Santo E22: Amazing Gulf Views, Remodeled Bathrooms & Great Location! 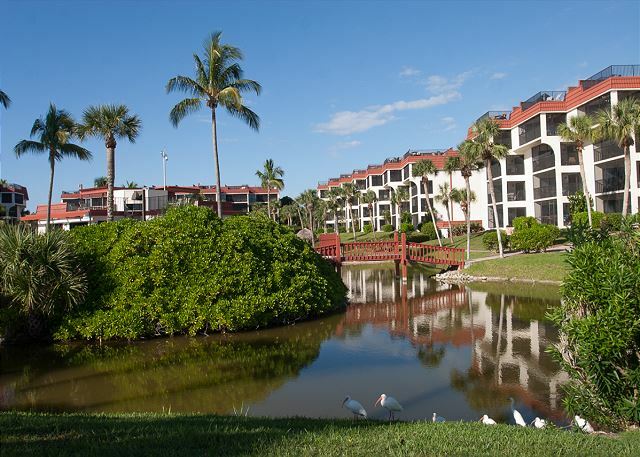 Pointe Santo E22 is located in one of Sanibel's most popular vacations rental destinations and is conveniently located on West Gulf Drive close to many local beaches, shops, and restaurants all within close walking and/or biking distance. 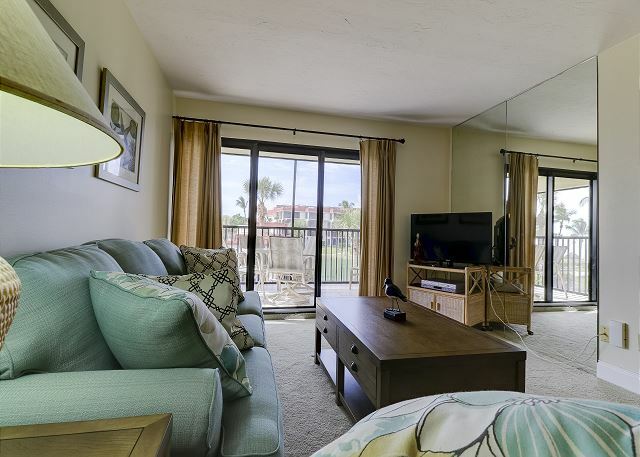 This spacious 2 bedroom, 2 bath unit is situated on the 2nd floor and offers phenomenal gulf views and daily sunsets from your very own personal screened lanai patio! 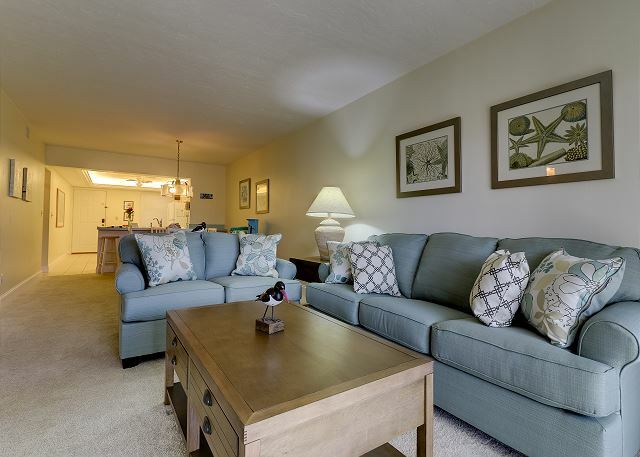 The condo consists of an open kitchen, living, and dining room floor plan great for friend and family gatherings while making memories on a vacation to remember. Complete gut & remodel of both bathrooms newly finished as of October 2016, along with many other recent upgrades to the unit including a brand new living room furniture set, new king mattress, new carpets throughout, fresh paint, and a brand new washer & dryer! Condo/Resort amenities include: 2 bedrooms / 2 bathrooms -- 1 King bed, 2 twin beds, and a pull out Queen sleeper sofa bed (sleeps 6), 3 flat screen TVs & a DVD player, free WIFI, heated pool & hot tub, in suite washer & dryer, public BBQ grills, shell cleaning station, tennis courts, elevators, kid's activity programs. No Pets allowed. Bed linens and Bath towels included. This unit comes stocked with beach chairs, beach towels and an umbrella. 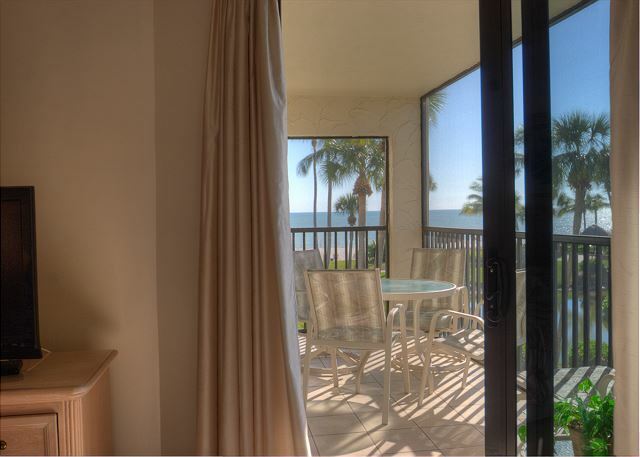 Guest Reviews of pointe santo e22: amazing gulf views, remodeled bathrooms & great location! The property was decent for a beach vacation. Location to the beach was great, and quality of the beach was also great. Pool was pretty small, and largely irrelevant. Check in process was a bit disjointed. I didn't receive an email about how to check-in after hours. I actually spoke to someone and specifically told her that we would be late, and she didn't mention anything about going to an office location with a dropbox. I had to figure it out through the app. Not a major issue, but after a long day of travel, was irritating to get to the condo, to then have to turn around and head to the check-in office. We are so sorry for these issues. We do send out e-mails for after hours check in and I see here yours was sent prior to arrival. You can always call our office number when we are closed and it will roll over to one of our owners cell phones. We appreciate you staying with us and hope to have you join us again! Pointe Santo gave us an excellent experience. It was immaculate. Staff did an excellent job maintaining the property in every way. E22 was perfect for our needs with a great view of the gulf, pool and surroundings. Location was perfect for access to dining and other activities. Definitely would come back to E22. Thank you so much for your review! We are so happy you enjoyed your stay! Please let us know when you would like to return and we would be glad to help you plan your next trip! we had a lovely time. the condo was nice but the master shower was not good. You had to step up a foot to get into it. there was not a towel rack either. Thank you so much for your review! We are so sorry for the inconvenience that the stepping of the shower! We are so glad you enjoyed your vacation and we hope to see you again in the future! Thank you so much for your review! We are so glad you enjoyed your stay at Pointe Santo E22! We hope you will stay with us again in the future! This is our second rime staying at Pointe Santo, first time in E22. Unfortunately I would not recommend this particular unit. The condo is outdated, furniture old and uncomfortable. Second bedroom mattresses need to be replaced, bedding poor The pans in kitchen are flaking teflon particles. Outdoor grills do not heat sufficiently. The grounds are beautiful and well maintained, would go back but not E22. I am so sorry about these issues. We will definitely bring this to the attention of the owners of Pointe Santo E22. The mattresses in the room you speak of were recently replaced, so we can check to see what we can do about that. Please, if you stay with us again, let us know these issues and we will do anything we can for you while you are here! 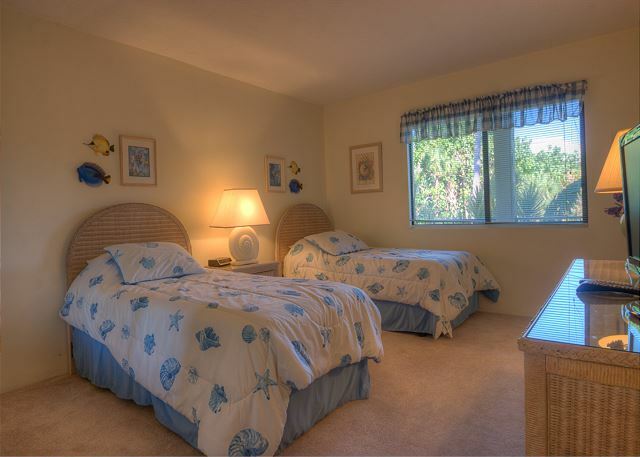 My wife and I had a fantastic time staying in Pointe Santo E22, and enjoyed Sanibel Island and its surroundings. The condo was very clean and had all the amenities we needed. It was nice to have the beach so close to the condo. A very nice, and helpful staff greeted us. This was our 4th year going to Sanibel, and was the best time ever. Thanks! We'll be back!! We are so honor your stay was such a wonderful experience. It was great meeting you all as well. 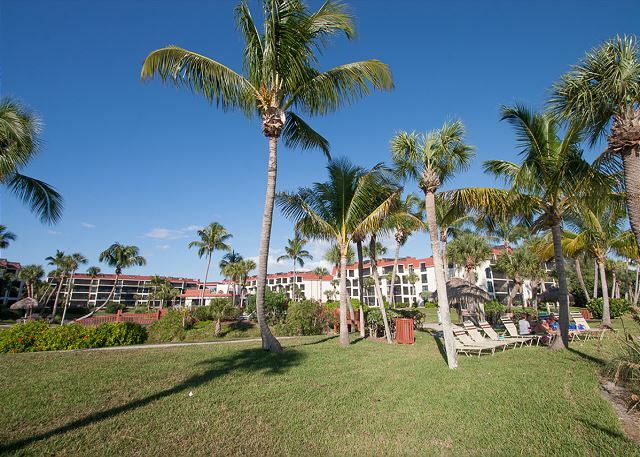 And we look forward to your next stay here with Sanibel Vacations! 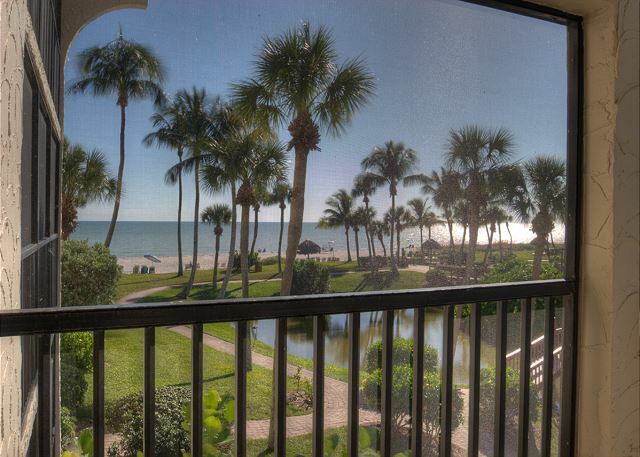 very nice condo, clean, beautiful view to the sanibel beach. Unfortunatley the pool area is too small for all appartements. We are very glad the unit was to your expectation. Unfortunately, we can not control the pool size. But we have HUGE gulf! We just spent a week at Pointe Santo in unit E 22. The condo was in wonderful shape and had everything we needed for a comfortable stay. 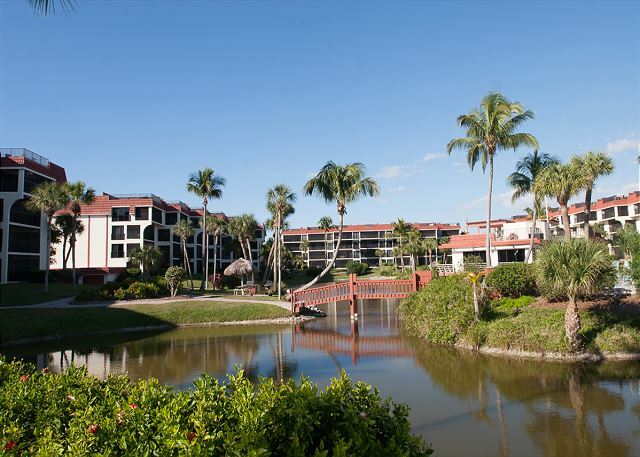 The grounds of Pointe Santo are kept in great shape and the whole complex is very nice. 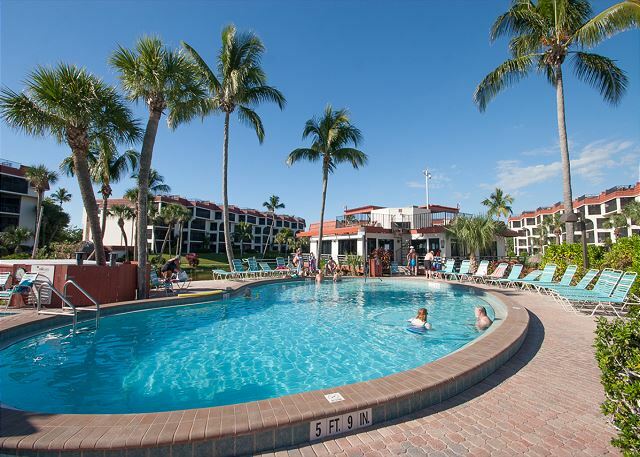 Sanibel Vacations was very easy to work with and the arrival process was very smooth. We also rented a kayak from them which they drop off and pick up at your condo. We cannot wait to come back!!!! We are so happy your family had such a wonderful time here. We look forward to next year! Lovely place to stay. The master bedroom and bathroom was large & very comfortable. 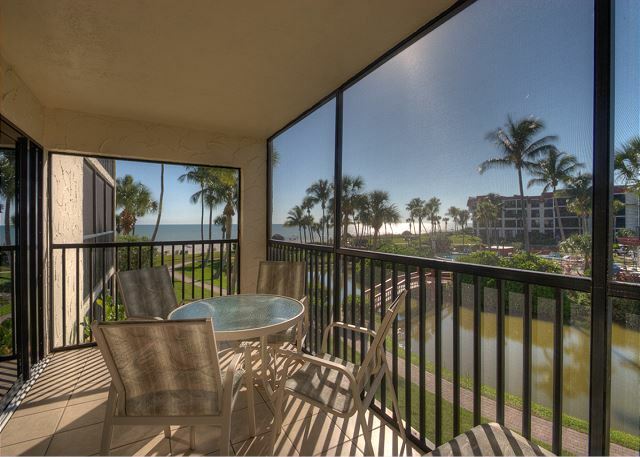 We enjoyed sitting on the lanai most nights & this unit is so close to the beach! Would love to stay here again! Hey Shelby, We are so very happy you had a very pleasant visit with us here in Sanibel. We certainly look forward in seeing you again. Had a great time in this condo, very close to the beach. It had everything we needed. A spacious master bedroom and then another bedroom with two singles. Very clean and nicely outfitted. The property managers were great and we rented kayaks from them for a morning outing. Excellent service. Thank you so much for staying with us. And we will see you again soon! We are so happy to see you year after year. It seems now like you are part of the family! Very satisfied with our rental with the exception of a $175 added fee I had to pay unexpectedly. Rental agent described it as a fee by VRBO. Never experienced a fee from VRBO in spite of having used it many times. I felt it was a rip off but it was too late to cancel and find something else. On the positive side we were delighted to find the bathrooms had been renovated and were much nicer than what we were expecting. Website should be updated to reflect new bathrooms. Absolutely marvelous experience! Check-in was a breeze, master bath has been recently updated & the remainder of the condo was immaculate. 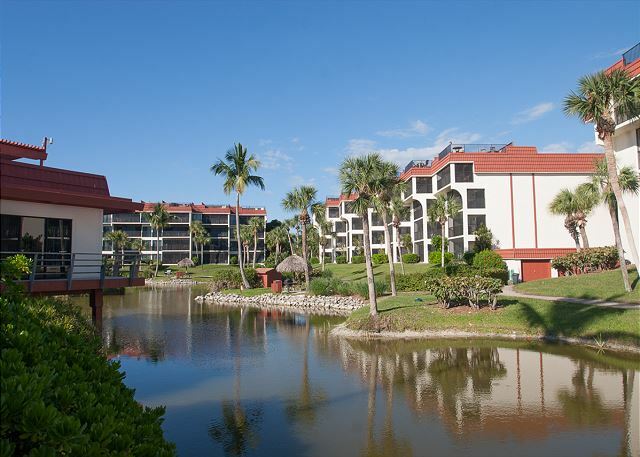 While the resort may be aging, the location is highly desirable - merely steps to the gulf. Plan to return again very soon. Sanibel Vacations was amazing from start to finish. We reported a malfunctioning blender, which they immediately came and replaced with a new one. We reported a broken beach umbrella, and they did the same. This manangement company was professional, friendly, and very responsive.This was our first vacation to Sanibel Island and it could not have been better. This location is perfect. 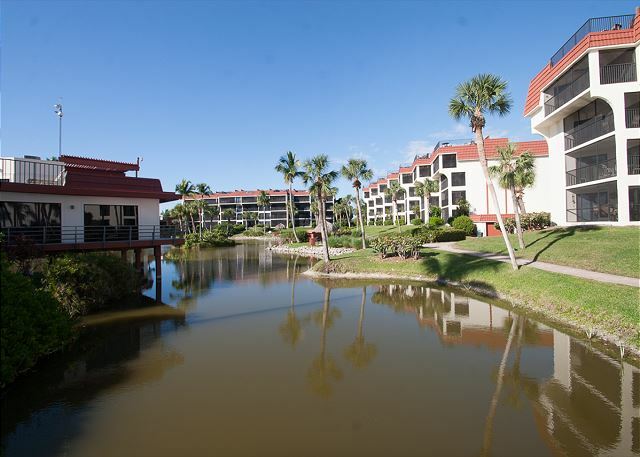 The unit is the closest to the beach and the pool. The unit is very large; there are 2 twin beds in the second bedroom and we were able to fit in a twin air mattress. Everything you need is here. I cooked three dinners and had all the tools I needed. There were plenty of sand toys and chairs. (There were no blow up/ float toys so that is one thing I would bring next time.) Everyone throughout this complex is friendly. We and my young boys made friends every time we swam at the pool or the beach. We greatly enjoyed the lanai; nice to be able to spread out and enjoy the afternoon storms under cover.Parking was close and convenient.Having the dishwasher and washer/dryer in the unit was a must have! Carrie, Thank you, thank you for you wonderful review! We are so thrilled that your first Sanibel trip went off without a hitch! We were happy to be of assistance to you when needed throughout your stay. 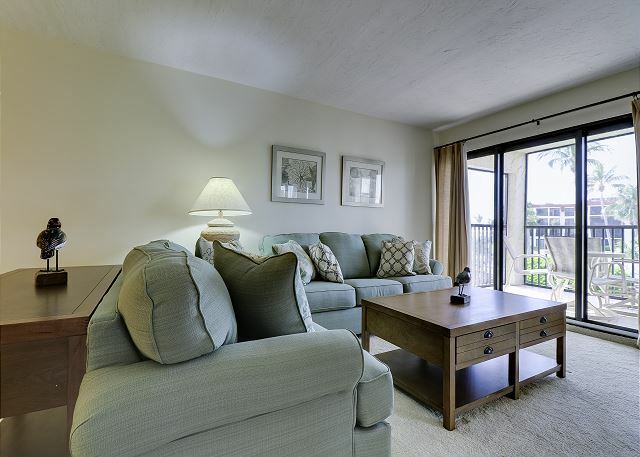 Should you decide to return back to this beautiful island, please do think of us again in the future and this unit in particular as it has just recently been updated with remodeled bathrooms, all new living room furniture and brand new bedding throughout. Hope to see you again soon! Good experience. Comfortable condominium unit with satisfactory amenities adjacent to beach. Thanks for your nice review, Jeffrey! We truly appreciate your choosing SBL and our Pointe Santo E22 condo and we look forward to seeing you for your next vacation on Sanibel! Great place, clean, exactly as expected. we had an amazing vacation, will make it a yearly tradition!!!! We were so thrilled to read this terrific review! Thank you, Ana! Please come see us again next year and check out the latest updates to this property!! Looking forward to your return! The condo was as advertised, with a short walk to the pool and beach, plenty of space, and very comfortable accommodations for four. We recently stayed at Pointe Santo E22 and really enjoyed it. The unit is in a great location with beautiful views. It was very clean and met all of our needs. I also want to compliment Sanibel Vacations directly. Because we were moving to a different condo for our 2nd week (this one wasn't available), we were going to be 'homeless' for 5 hours. I asked about a late check-out (which I thought was unlikely because it was Easter weekend and I knew they had someone else checking in that afternoon). To my surprise, Sanibel Vacations called me and was able to give us a few more hours in the condo. It made such a difference in our transition. Hats off to great service from SBL. I'll definitely use you again for my future rental needs. A great location! This condo was exactly what we had expected. The value matched the cost. We were looking for a nice warm getaway from an Ohio February but didn't want to bust the budget. There were plenty of other options in Sanibel at twice the price but we wanted the basics, clean, comfortable, convenient, quiet and safe. Would we want to live in this condo as our second home? Um... sure... after a few upgrades but as a nice affordable vacation getaway it proved most suitable as is. A hundred steps from the beach, a great view from the lanai, a reserved parking spot, easy access to the bike trails (that go everywhere! ), access to gas grills, swimming pool, whirlpool, an incredibly friendly and helpful staff and NO SNOW!! Pointe Santo is a 40 year old property. The location on Sanibel and among the gulf beaches is perfect. While it is in good condition, it does show its age. E22 was as clean as possible in an unrennovated condo. The furniture and bed, although soft, were comfortable. The kitchen and baths appeared in original condition and the cabinets and appliances were old. There were plenty of towels, bath and beach ones. But the bed linens were not good. They were very thin, too small, and slippery. They slipped off the mattress and twisted every night. The furniture inside and on the lanai were worn. The pots and pans were old and scratched. We would rent again in Pointe Santo but hopefully find a renovated condo. SBL was great to work with, efficient and make all transactions very easy. Very nice location. Nice beach and pool areas. Parts of the property were underwater during our stay after a couple of heavy storms. We could not use the shuffleboard or tennis courts or walk out of the property easily. The condominium unit was nice enough with average furnishing but only barely adequate kitchen equipment and utensils. A covered trash can would have been nice. The cable system wasn't functioning when we arrived, but the property management company spent a lot of time to get the TV's working as soon as was possible. Our first trip to Sanibel was perfect. Pointe Sanibel was beautiful and we met some very nice owners. The property is well maintained and the views are spectacular!! We are looking forward to our next trip to the island. Outstanding in every aspect. Spacious unit with all items you need while on vacation. 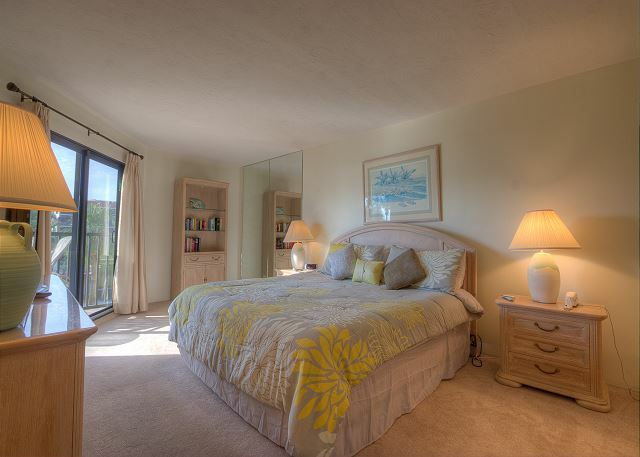 Right on the beach and within walking distance to town. Our stay at Pointe Santo E22 was wonderful. The property was clean and the view is stunning; you are literally footsteps from the beautiful Gulf. Robin, who coordinates the kids' crafts, is so sweet and our kids remembered her from years past. We cooked in or barbecued at the grills most meals (we were there three weeks) and had everything we needed. We enjoyed kayaking Tarpon Bay and the JN Ding Darling Eco-Tour. We loved Shiny Objects, a wonderful little jewelry store, where you can find unique, hand-crafted treasures (love the glass Sanibel bead!). We visited Bailey's frequently (felt like Mayberry!) and enjoyed a couple movies next door with a delicious Zebra's yogurt afterwards. Everyone we met on the island was incredibly kind (even the Sanibel Police when I accidently, unknowingly dialed SOS from my cell!). Rob from Sanibel Vacations was outstanding. He delivered sheets to our door when we were short a set. We rented like-new bikes from his company. Our teenagers really enjoyed having the freedom to explore and we were happy that there were bike paths everywhere so we didn't need to worry about them. Our only complaint was smokers next door one week (we didn't go out on our lanai when they were out) and the no-seeums. They especially loved my husband regardless of what repellent he used. This is to be expected in this climate and we learned when to stay in (mostly dusk). 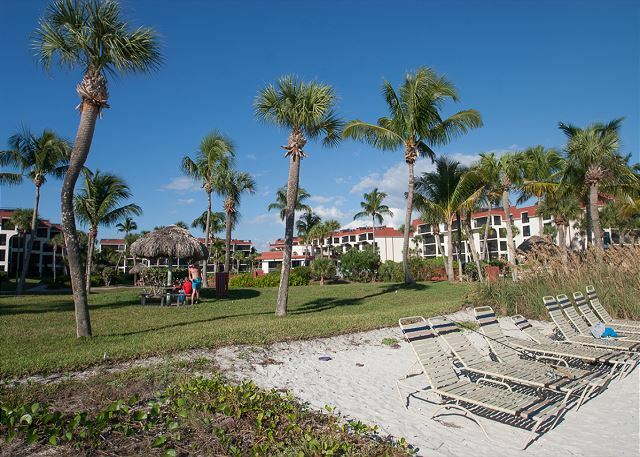 We love Sanibel and Pointe Santo and wouldn't hesitate to contact Sanibel Vacations to arrange our next visit. If we could afford it, we'd do it today! I was very satisfied with SBL and my stay. The condo was older, with some outdated finishes in the bathrooms and kitchen, but it was incredibly clean and comfortable. The view was wonderful to wake up to each day and I enjoyed eating on the lanai. I liked being in building E because we were the closest to the beach. It was just a few hundred feet from our condo to the beach. The beach itself was clean, beautiful and very quiet. I felt like I was on my own private island. The location of the condo was also great for either biking or driving to places around town. Our family had a really nice stay at Pointe Santo E22. The unit has a fantastic view - we enjoyed breakfast & dinner on the porch - and is a great location on the Pointe Santo property. 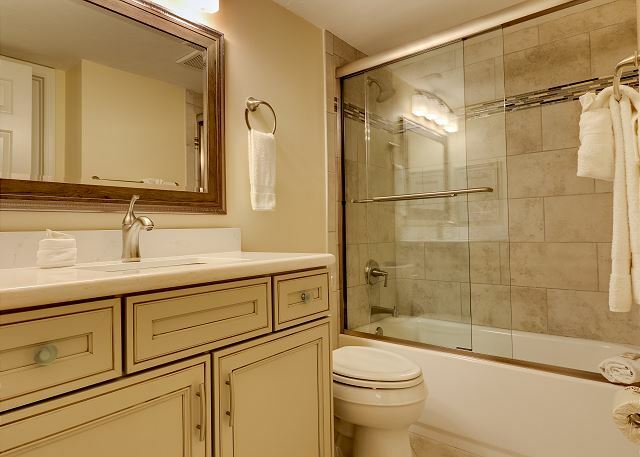 The bathrooms in the unit could use some upgrading, but overall, the unit was very nice. Rob/Charlie from Sanibel Vacations were fabulous to deal with, and we look forward to our next visit! I have booked with VRBO a half dozen times and have never had a bad experience. The unit was in a great location, clean and functional. Pointe Santo is in nice central point on the island and has great amenities. While we have vacationed on Sanibel a number of times, this was our first visit to Pointe Santo--and we loved it. The resort design is unmatched-every building has the pool view. Such a friendly group of folks staying here, too. We grilled on the gas grills and enjoyed the chaise lounges on the beach. Our SBL managers Rob and Charlie were most attentive and available. Please be sure you go to Ding Darling Nature Center and the grounds. We spotted a screech owl and of course, the mangrove crabs. really pleasant stay. 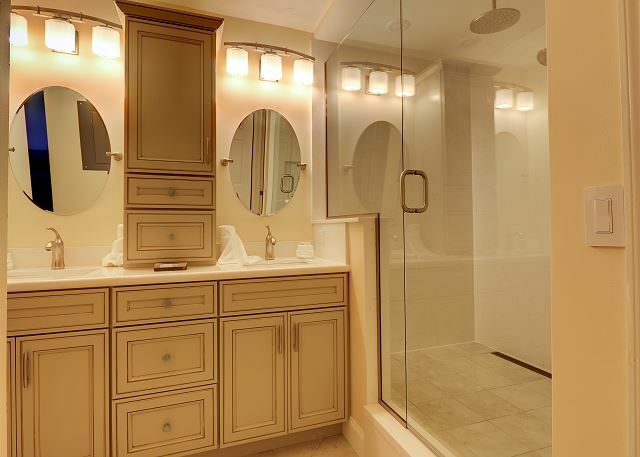 5's in all areas.Would have appreciated clothes basket in master closet, and small waste basket in front bath. Just a friendly suggestion.